About six months ago, I discovered the work of Dr. Ruben Puentedura and his S.A.M.R framework for technology integration into educational environments. 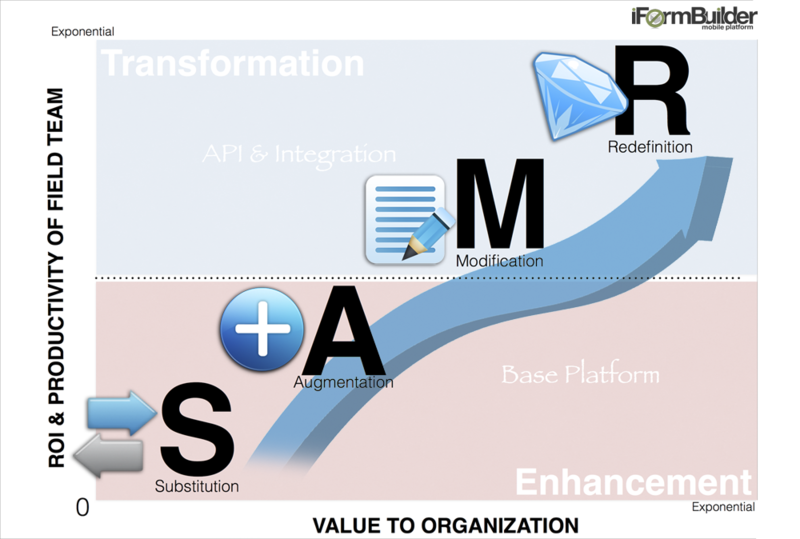 The S.A.M.R Model perfectly aligns with the journey successful iFormBuilder implementations go through. In this post, I want to introduce you to S.A.M.R and then walk through a few examples of how iFormBuilder transforms and redefines how businesses work. Enjoy! The process of simply substituting an old technology with a new technology with no real functional change. The classic example of handwriting an article on a piece of paper verses writing the article in a word processor like Word. The new tech acts as a direct tool for substitution with functional improvement. 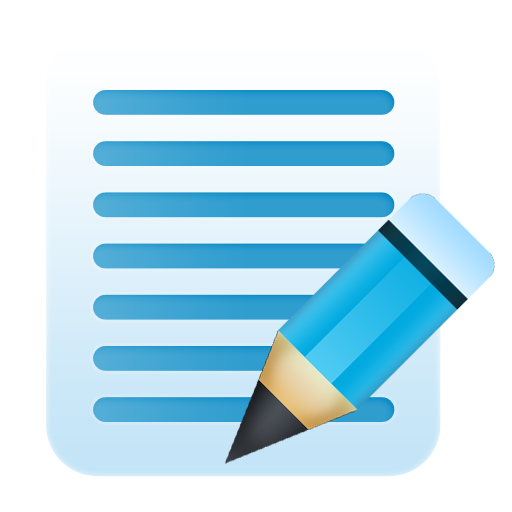 Writing an article in Word and adding pictures or graphs to the work or adding hyperlinks to different sections of the work. You are still replacing the paper but now you can do a lot more to the paper that adds value. The new tech allows for significant task redesign. Now your paper is turned into a blog post and contains web resources, videos are embedded and the entire experience has been enhanced. The new tech allows for the creation of new task, previously inconceivable. The article is published using a blog, collaboration with other authors are happening in realtime, immediate access to the global marketplace is achieved, comments from around the world are curated and the entire learning experience is transformed to mind blowing proportions. This model doesn’t simply transform the learning experience because of the new technology. The way the new technology is used is where the transformation occurs. There are plenty of teachers using iPads as glorified chalkboard slates. They mastered substitution but don’t advance up the value chain towards redefining how their classroom functions. How the heck does this relate to Mobile Data Collection and iFormBuilder? Often times we refer to iFormBuilder as a gateway drug for most organizations. A project begins using the platform and then a new manager or director starts asking… “What if…” and the platform spreads to other projects or departments. The stages of S.A.M.R corresponds directly to the phases we see all of our customers evolve through. 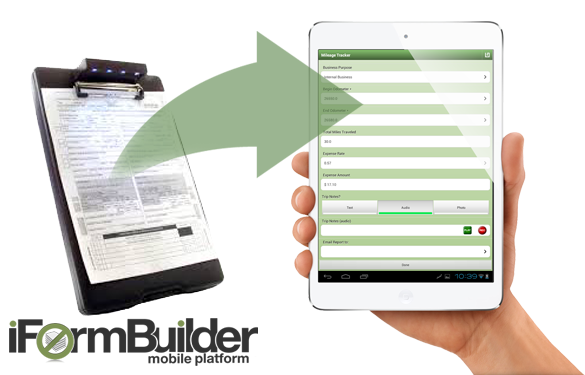 Those customers who look beyond the paper form are able to see exponential growth and opportunity with the platform. So let’s dive into a classic example of how a customer starts by substituting a paper form with iFormBuilder and then transforms the way they do business. I want to start by sharing a simple scenario where a customer wants to replace their paper facilities inspection form that is used in their 20 plants across the country. Substitution: The customer uses iFormBuilder to take every element on the paper form and substitute or translate it into the iFormBuilder platform. A very vanilla form that collects the data and that is it. Augmentation: The customer users iFormBuilder to build all the existing elements of the paper form however now they add extra functionality because the platform permits it. They add photo widgets so that each element that “Fails” a photo is required to demonstrate and document what wasn’t up to code. 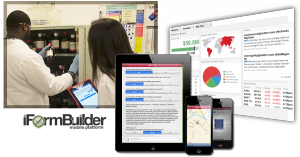 Skip logic is built into the form allowing users to answer only those questions that pertain to the facility being inspected, calculations are being performed right on the device and validation messages pop up when the data collector keys in a wrong value or inconsistent data. All known facility information is pre-populated into the form so when the site location number is entered, the address, plant manager, phone number, date of last inspection and all know details are entered in saving the data collector hours of manual data entry. As you can see the process is now enhanced and a lot of good data is being collected. Modification: The customer tasks their new form with the pictures, the validation, the skip logic and calculations and they go out to perform their facility inspections. On the one inspection, there were a series of lightbulbs out in the hallway. The location was documented and as soon as the record was submitted an email was triggered to notify the maintenance team that there were issues that needed to be addressed. By leveraging the iFormBuilder Scoring feature the facility is given a quality score which is recorded on the admin control panel giving management a score to improve upon. 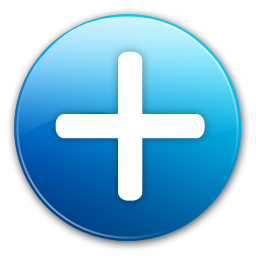 At the completion of the inspection, a PDF is created automagically with a simple integration into a tool like www.Webmerge.me. Now company leadership is able to see the inspections, make business decisions off of the quality scores created, view photos of the entire inspection process and transform the way they do business. It brings their data to life. Redefinition: Businesses that leverage the iFormBuilder platform and it’s features to completely redefine their workflow reap the biggest rewards. The process is identical to the on device changes in the “modification” phase however now the customer leverages and relies on the iFormBuilder API to make their workflow dance. They have a scheduling web service that sends a notification to the inspector and assigns the proper inspection form that is pre-populated from the company ERP system. Once the inspection is completed, the results are integrated with a Klipfolio dashboard where leadership sees realtime quality scores for each of their plants. They are able to leverage the GPS locations and metadata for each record to see exactly where, when and how the inspection was completed, adding to the data integrity. Visualizing the information captured on an ESRI map allows leadership to get a deeper understanding on the adoption of certain practices across their US plants. The options are really endless. Those customers that are able to march up the S.A.M.R ladder see exponential return on investment and the value to the organization is tremendous. When you are building your mobile data collection solution with iFormBuilder, check in with the S.A.M.R model to unlock huge upside potential. The results are better quality data, lower resource cost, and unmatched efficiency and compliance for your organization! I’m happy to talk about your deployment and how we may be able to unlock the real opportunities within your company or organization!